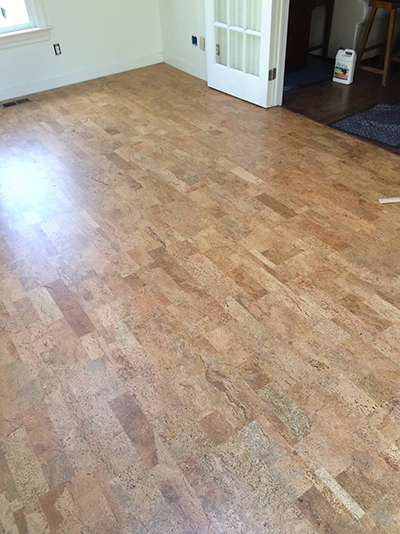 When you think of cork, you probably think about bulletin boards or wine corks, but have you considered cork flooring? 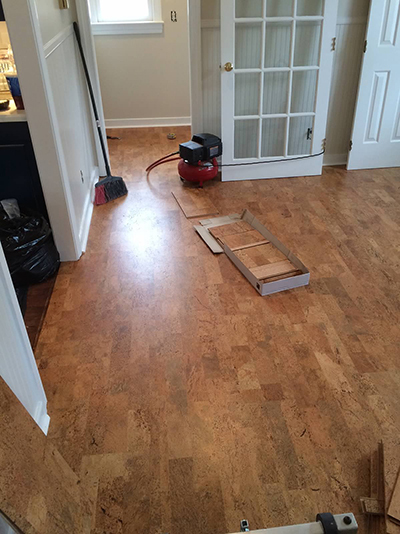 Recently we had the pleasure of installing 530 square feet of prefinished locking cork hardwood flooring. 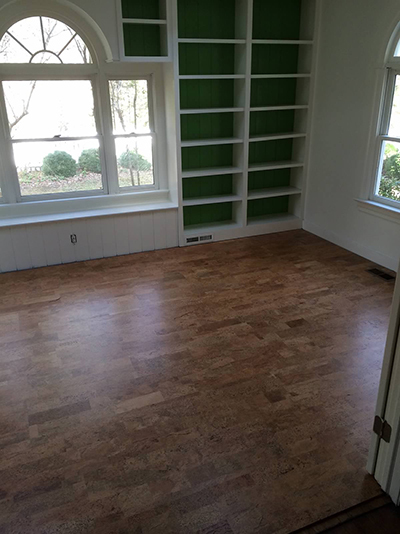 Each plank was roughly 12″x3′ for a simple tongue-and-groove interlock. Cork is warm on bare feet, resistant to fire, mold, bacteria and insects, and has great acoustical properties to reduce noise in your home. Bring on the kids, music and instruments! Cork is also hypoallergenic, making it a great option for allergy sufferers. Looking for a sustainable option? Cork is an eight- to 10-year renewable resource. 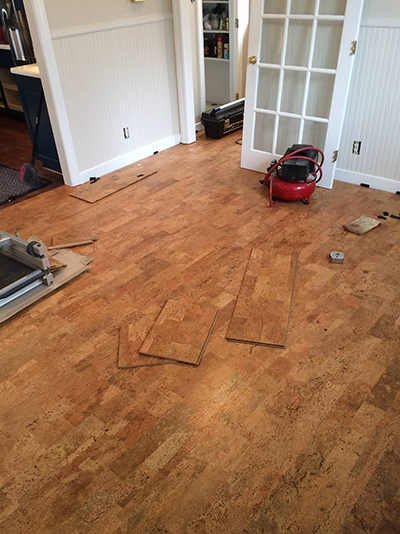 Cork flooring (and other products) are created by peeling layers from a cork oak tree. The tree is not cut down for harvest to occur and layers are regenerated over time. If you’re in the Richmond, Virginia metro area, just call us (804-592-9064)! We have a wholesale option to cut out the middle man and reduce your cost.